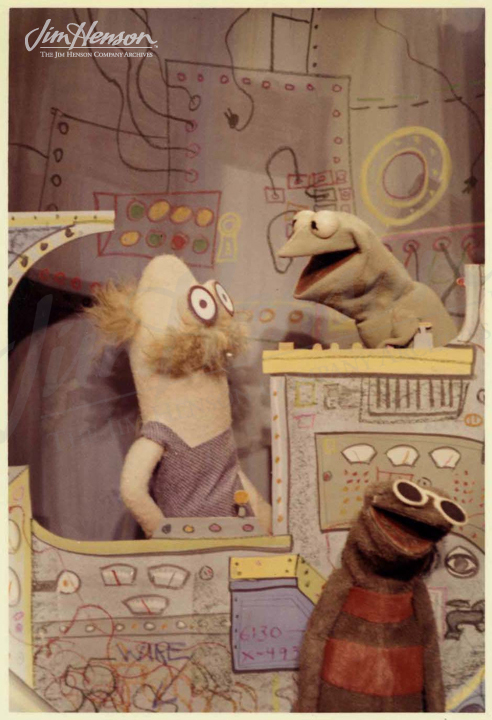 When Jim first got an animation stand in 1960, one the earliest pieces he created was “Visual Thinking” for his Washington, DC television show Sam and Friends. This bit was a dialogue between Kermit and Harry the hipster about Kermit’s efforts to visualize his thoughts. Superimposed over the filmed conversation was an animated sequence meant to illustrate the ideas being discussed. While Kermit was a beginner able to visualize just a letter or number, Harry was a virtuoso picturing complicated jazz riffs. Unfortunately, Harry’s visuals got out of control, eventually obliterating the scene. Jim often used pictures to express his thoughts and created a number of pieces in the 1960s demonstrating this idea. 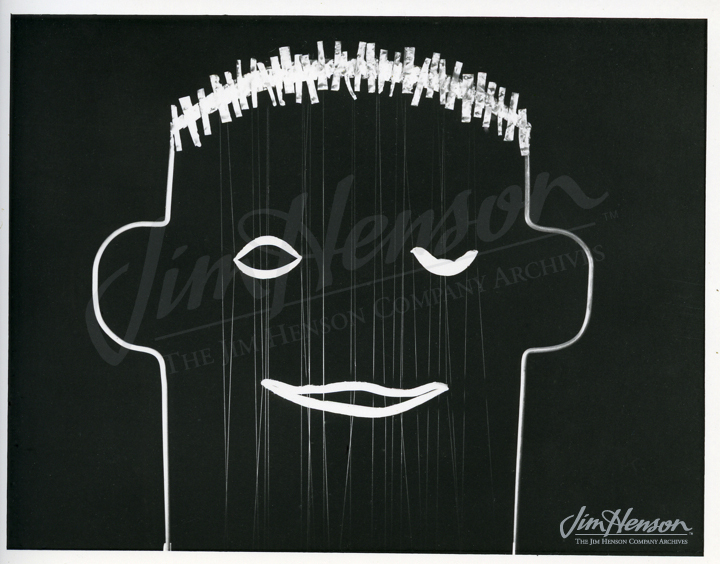 Beyond several renditions of “Visual Thinking” using animation to depict what was percolating in a character’s head, Jim did several pieces with a puppet character called Limbo that was constructed of foam pieces forming just a sort of line drawing of facial features. Limbo was superimposed over a filmed background of images representing thoughts, memories, and ideas. A voice-over described the character’s effort to organize his thoughts, gaining a measure of control over the exuberant chaos within. See the original “Visual Thinking” from Sam and Friends. Learn more about Jim’s early animations. Kermit and Harry the Hipster with Professor Madcliff (on left) from Sam and Friends, 1955-1961. 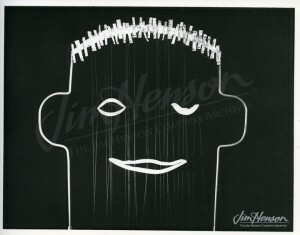 Limbo, Jim’s abstract face character that was superimposed over filmed images, early 1960s. This entry was posted in 06-June '67, 1967, Appearances and tagged Ed Sullivan Show, Harry, Kermit, Sam and Friends. Bookmark the permalink.